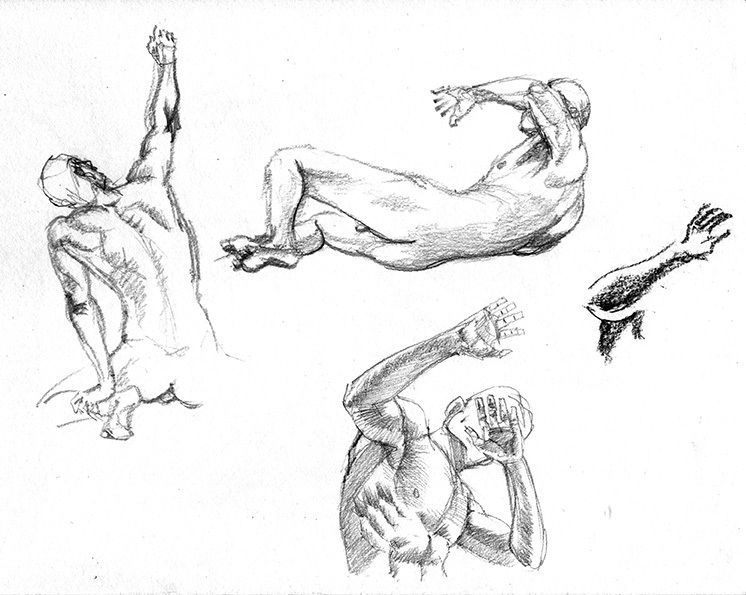 While I am still at it, here are the past sessions of Figure Drawing. 2-minute poses. my speed was better with penciling. This model was quite lean and muscular. With this kind of muscularity, it was very good for shading. He did some unique poses. Very professional. It was penciling all the way in this session. 2-minute poses. This model has a good range of poses. 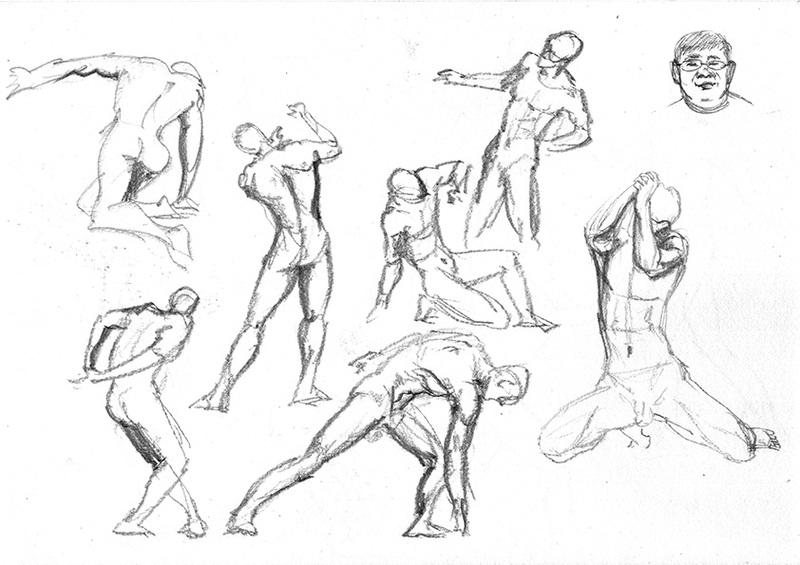 5-minute poses. She is quite slim, some poses exposed her boney figure which were rather difficult to express. 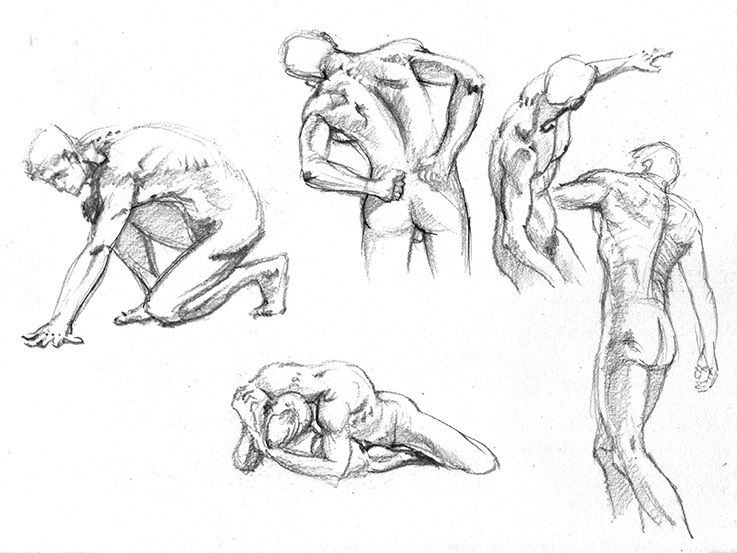 10-minute poses. The difficulty penciling her figure is the fine line between a slim body and a malnutrition figure. 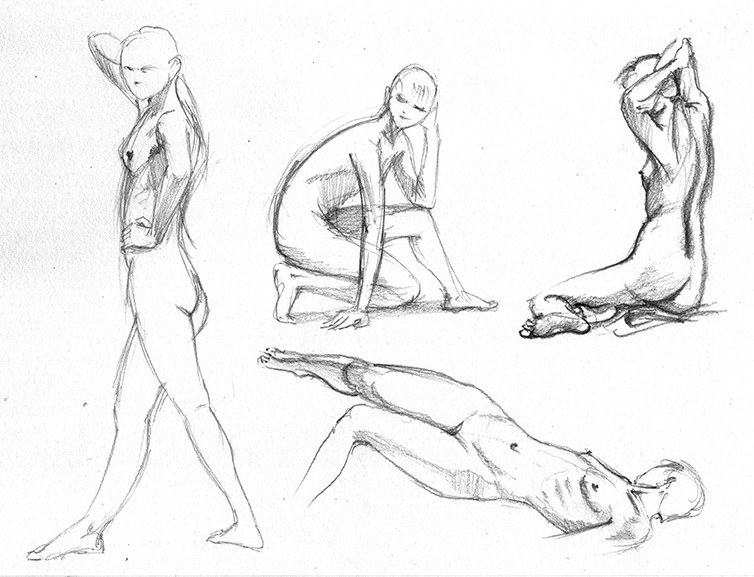 Here was the fourth session of Figure Drawing. 2-minute poses. Another slim model. With the previous experience, it was much easier to tackle the issue. 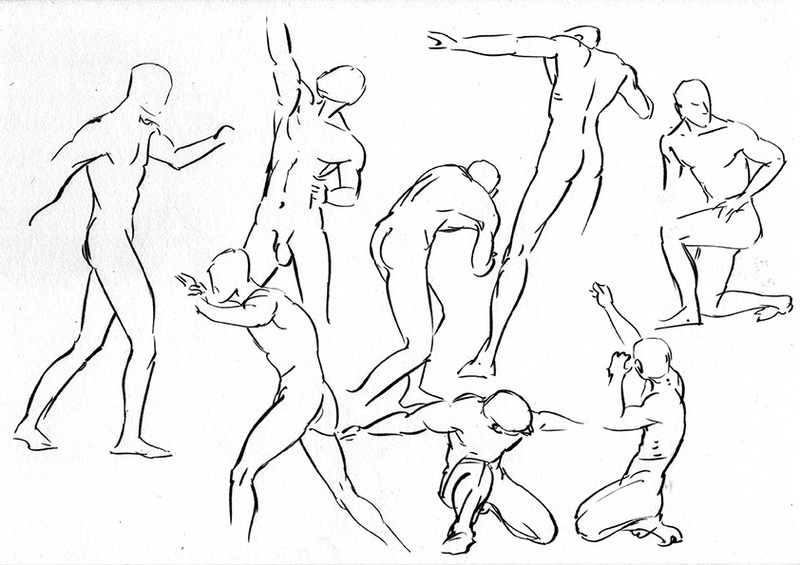 5-minute poses. Used Brush pen and diluted ink brush on these 3. That’s it for figure drawing. I will upload more in future if there’s any breakthrough or anything interesting. Otherwise, I will stop here for a while.